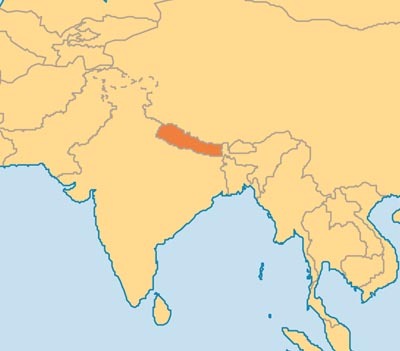 Nepal is a landlocked country in the Himalayans with a population of 27 million people. Hinduism is practiced by about 81.3% of Nepalis, making it the country with the highest percentage of Hindus, Buddhism is linked historically with Nepal and is practiced by 9%, Islam by 4.4%, Kirat 3.1%, Christianity 1.4%, and animism 0.4%. Ecclesias: Chabahil (90), Dhumbarai (25) (both in Kathmandu), and another 10 members in isolation. Preaching commenced in 1996. In 1999 responsibility of Nepal passed from CBM to ACBM. The ACBM has continued pastoral work with the local ecclesias and assisting brothers and sisters with preaching to contacts. The Truth in Nepal continues to grow at an exceptionally strong rate and the Chabahil Ecclesia, current numbering 90 with 22 Sunday School children has well out grown its current L shaped hall where brethren are sittng at the edge of the platform and sometimes are seated outside. For further detail refer Chabahil’s Appeal Letter. With the strong Hindu influence in Nepal, they are unable to rent and land is very expensive. They are therefore appealing for assistance. The total cost of the project is US$350,000 and they are seeking some US$300,000. In Nepal the memorial meeting is held on Saturdays. On 25 April 2015 at 11:56 Nepal Standard Time our brothers and sisters in Nepal were meeting around the table of the Lord when a 7.8 magnitude earthquake struck. This was followed by a second quake on 12 May. By God’s grace all our brothers and sisters were ok. But it was an extremely distressing time as over 8000 people lost their lives and many more were displaced. The ecclesias in Nepal were able to help those around them providing food, shelter and comfort. The Chabahil ecclesial hall was damaged with cracks appearing in the walls and floor. Some of our brothers and sisters’ houses were damaged, some extensively. The home that is used in Sitali for meetings collapsed, With the generous support of the brotherhood worldwide the ACBM has been able to assist with the repair and rebuilding work. In the face of all the hardships the truth continues to grow as our brothers and sisters continue to proclaim the truth of the gospel. On most days of the week between the two ecclesias in Kathmandu the members are able to meet together around the word of God. In late September or early October Dashain falls and is a very popular festival in Nepal. It is the longest and the most auspicious festival in the Nepalese annual calendar. It’s at this time our brothers and sisters in Nepal are able to come together and have their bible week. A local function centre is booked and brothers and sisters attend each day. Being local allows older brothers and sisters that can’t travel far to come and share in the fellowship. Our brothers and sisters love to have the company of fieldworkers that come to assist and support them in the work of the truth.